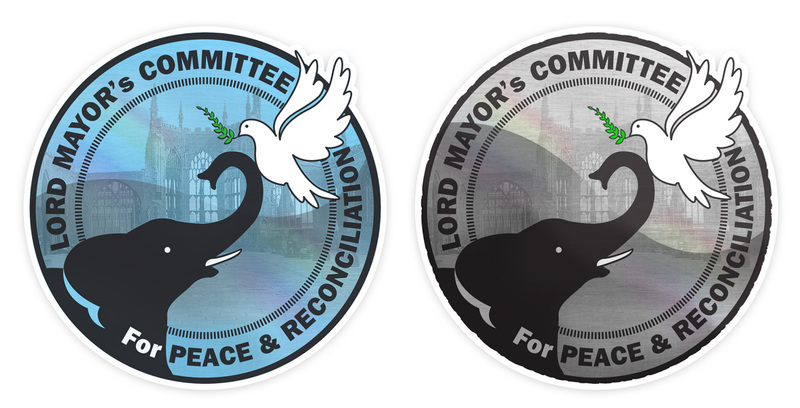 We recently submitted a logo for Coventry Lord Mayor’s Committee for Peace and Reconciliation competition. Our logo featured a great deal of symbolism; the Dove is the universal symbol of peace and there were cues for Coventry itself with the Cathedral, Elephant and Sky Blue in the coloured version. We slightly distressed the grey version instead of the hard line used on the sky blue version, because peace and reconciliation isn’t always a smooth path. Philip Brown. Chair of Coventry Lord Mayor’s Committee for Peace and Reconciliation. Yesterday Coventry Lord Mayor’s Committee for Peace and Reconciliation announced that after careful consideration the image designed by Coventry artist Andrea Mbarushimana has been selected from 24 entries to win the competition to design a logo for the Committee. The new logo will be placed on all of the Lord Mayor’s Peace Committee documents and websites. In the end the winner was Andrea Mbarushimana. Andrea is a community worker for Grapevine Coventry and Warwickshire, and a freelance artist and writer living in Coventry. “I have worked for peace in the community for more than a decade,” Andrea said, “running exhibitions, performances of the spoken word and events around social justice and promoting multi-culturalism, so winning this competition for the Lord Mayor’s Committee means a lot to me.” A long-time supporter of the Coventry Peace Festival, Andrea is also a Culture Rep for Coventry 2021, City of Culture.